I have been building models since boyhood. 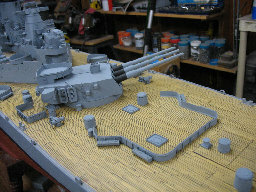 Starting with plastic model kits, I assembled aircraft, cars, and ships of all types. I found my real interest was modeling ships. 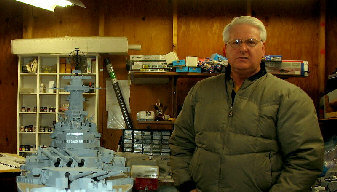 In 1982 I built my first R/C ship model, the 55”, Sterling kit of the Battleship, USS Missouri, BB 63. I wanted to see my hard work sailing in the water. I have been building ship models ever since, for static display or radio control operation. 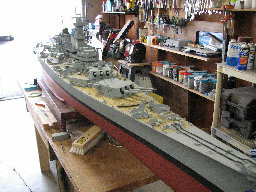 Since 1994 I have been building and repairing ship models for many clients. Building ship models that feature great detail is something I enjoy doing and find a real reward in making my customer’s dreams come true. Please enjoy my website and the examples of the ships I have modeled. If you have ever wanted to be a captain of your own model ship; please consider contacting me and let’s make your dream come true. In the December 1994 issue, of the international magazine, “Scale Ship Modeler” my R/C model of the USS Bainbridge CNG 25 was featured. I sold that model to a collector and went on to build 7 more models for him.